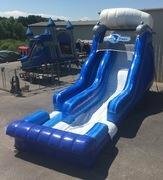 This 20ft Flipper Dipper XL is unique and great for boys or girls! Large enough to accommodate adults yet a 2 yr old can climb and slide. 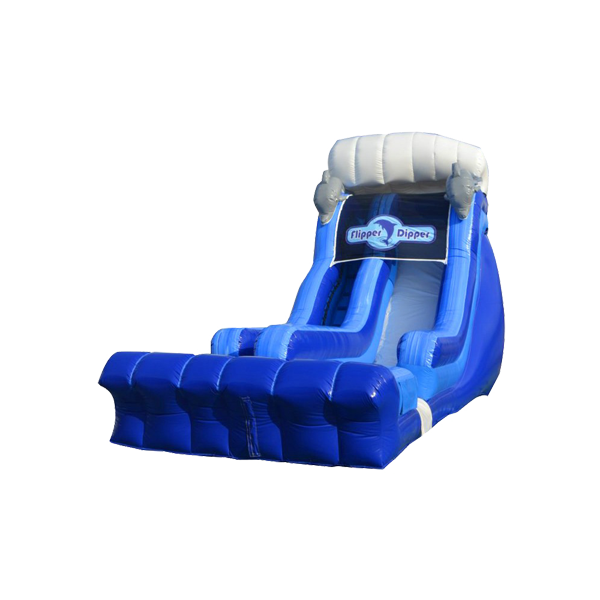 Climb to the top of this slide with a friend have a seat and race to the pool! This unit is great for kids as small as 2 yrs old all the way to adults! (Weight restrictions) 225lbs or less one at a time. This water Slide features a splash down pool, which holds some water but not a lot like our 2 ft deep pools on some of our other slides. This unit has a splash down pool at the bottom.